St. Mark's is lively church and part of the Church of England in the Diocese of Carlisle, South Cumbria. On a Sunday we have a regular weekly worshipping congregation of approximately 100 people. 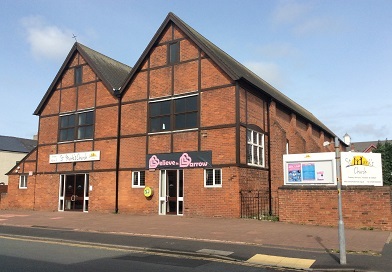 The Church itself is situated Barrow's town centre and has a parish encompassing around 1800 homes and half of the town centre shops and offices. Built in 1878 to serve the expanding population of the Town, it is still dedicated to helping local people find the love of God for themselves.